Ok, that's not exactly how the story goes but we sure enjoyed ourselves. I found free pancakes and pigs clip art and used it to make a simple addition sheet. The Lil Divas had to add the pancakes or pigs and write the total. This was great practice at number writing and simple addition/counting. Once again I found free clip art of words beginning with m and p and made a simple sorting mat. 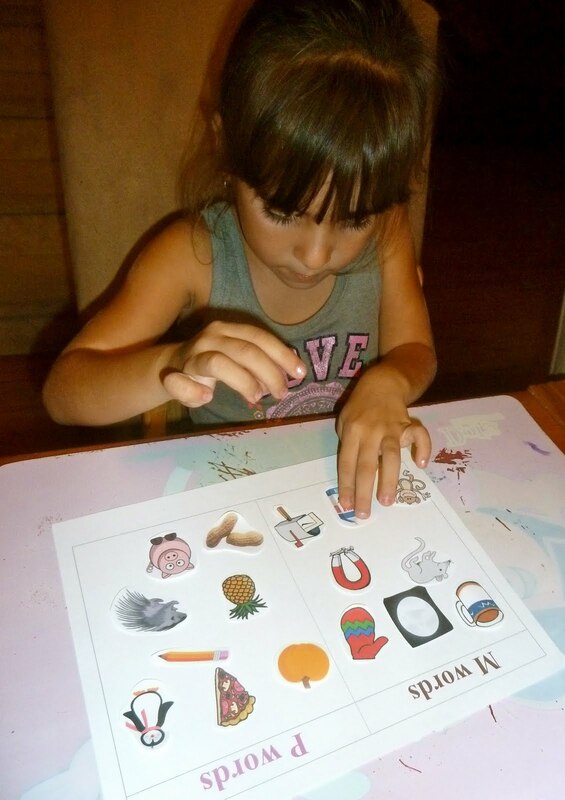 The Lil Divas had to sort the pictures and glue them onto the appropriate side according to their initial sound. 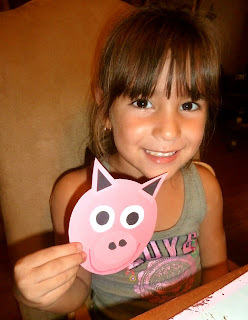 The Littlest Diva really wanted to make a pig while her big sis was doing her homework. I hadn't planned on it & didn't have time to put anything elaborate together so I came up with this simple shapes craft instead - easy, cute & well received by the Littlest Diva. 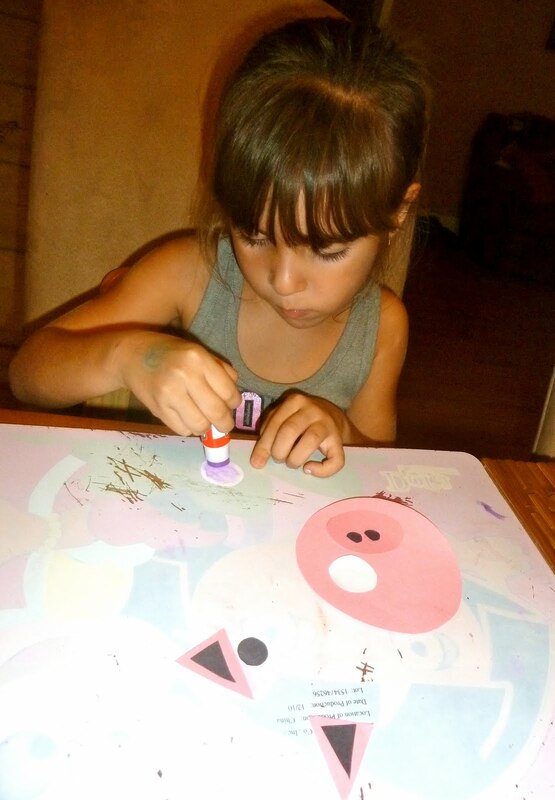 This was so easy to make/prepare and such a hit w/the Lil Divas! 1. cut circular shaped pancakes out of the brown construction paper. 2. write out target sight words on each pancake. 1. Position the pig in front of the plate - she is ready & waiting for her pancakes! 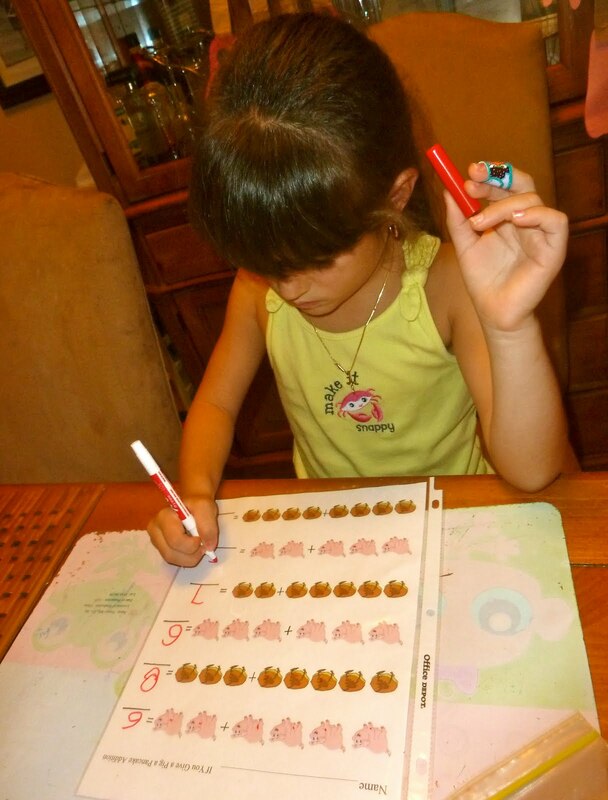 3. randomly call out sight words and let child find them & feed them to the pig by putting them on the plate. 4. when I only had a few left I let her read the words to me and add them to the plate. The Oldest Diva really enjoyed this game and it was a great way to review all the sight words we've been working on. JDaniel has just discovered adding. He would love your pig math. I love the piggy faces - and bacon, oh my goodness I just cracked up laughing !! I love all your ideas - especially the sight word activity. I'm going to have to find a way to incorporate that into one of our upcoming themes. It looks like your little girls had a great time with it! I love the sight words on pancakes! My son loves this book. I'll have to do some activities with it. Great post, thanks! Also I love that you made your math sheets wipe off, genius, then you're not wasting a bunch of paper! Love these ideas! 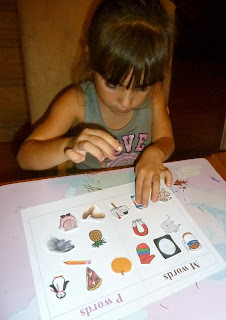 I am definitely going to try a modified version of the sight word activity with my toddler. Thanks. Very cute piggy and I LOVE the pancake game! What fun!! Great activities. These would be perfect in my house too! Again I like this idea. Maybe for the M vs P - Initial Sound Sorting instead of gluing so I could use all the pieces again I would use Velcro on the pages and pictures.